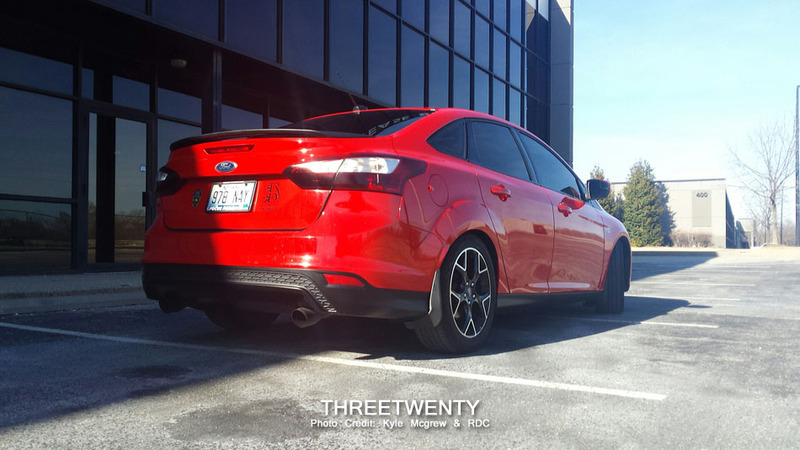 It was just a couple of posts ago that I highlighted the new-for-2015 Focus sedan lip kit that was available as part of a couple of option packages on the facelifted sedans. Specifically though, it was the rear valance that I (as well as other owners) found the most interesting as the options for sedans had always been extremely limited. Naturally, almost immediately myself and other sedan owners began to wonder if the new rear valance would work on the pre-facelift (’12-’14) four doors. It was suspected that it would as the bumper/valance seam appeared to be the same, and so the next question was “who’s going to do it first?”. Kyle Mcgrew and Rebel Devil Customs (RDC), that’s who! In no time at all Kyle and Mike from RDC had arranged to try it out, so a valance was ordered and Kyle brought his sedan in to be the tester. The new valance, as delivered. As I found out upon seeing the photos of the installation, the ‘grille’ portion of the valance is a separate piece, which is a nice design. Painting these will certainly be made easier thanks to that. 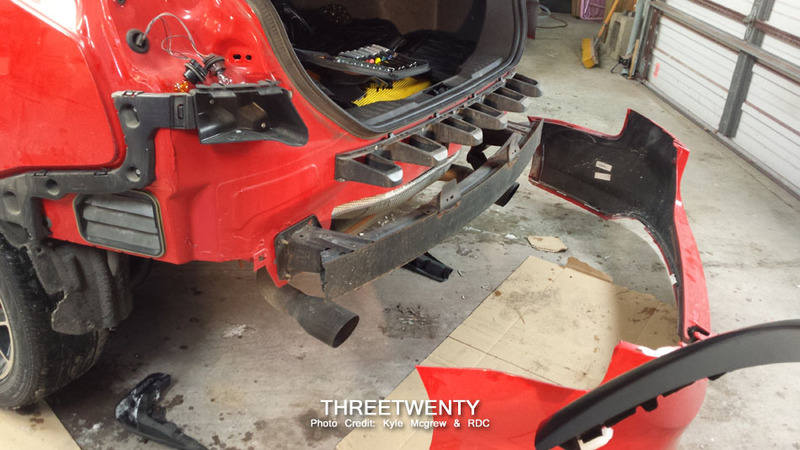 Off came the rear bumper, and the original valance was removed. Here’s the two lined up side-by-side with the original on the left and the new piece on the right. They did note that a bit of trimming was needed on the bumper but nothing serious. The flange which hangs down has to be cut down by half. Apart from this it’s a straight swap. Here’s Mike cutting with his little one taking notes. Also, in case this hurts to look at, it’s all hidden in the end anyway. 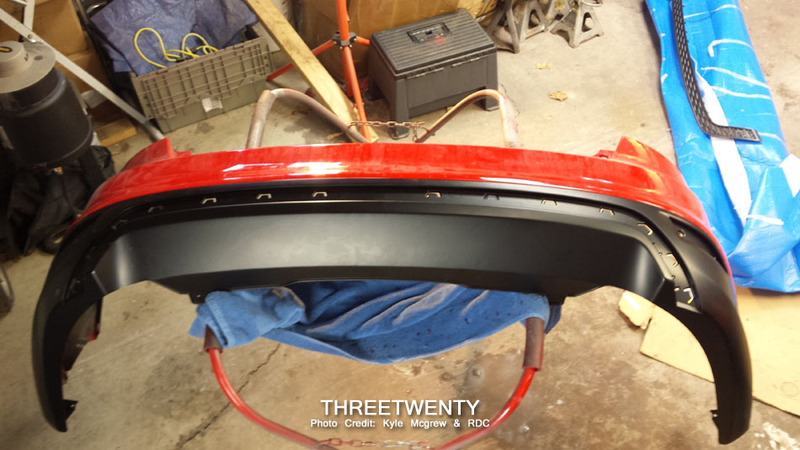 Once the bumper was trimmed the new valance could be installed. 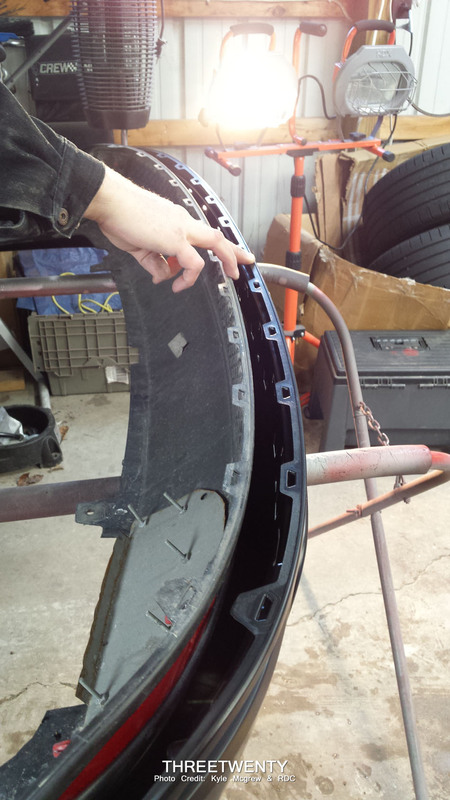 Here you can also see how the grille insert mounts. 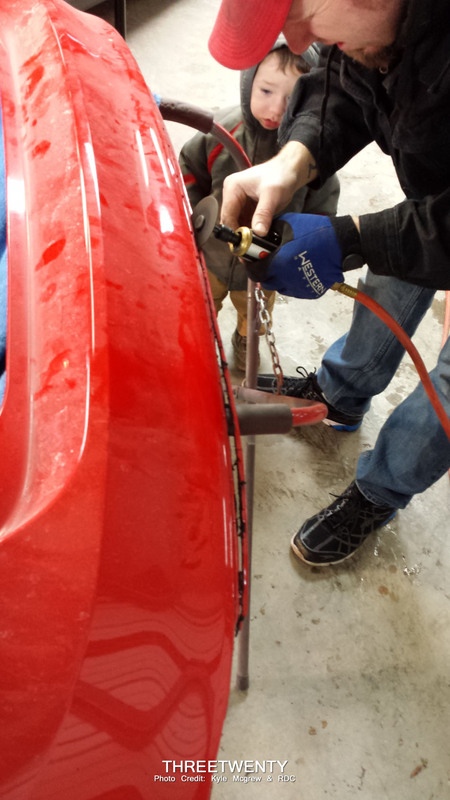 Following that the bumper was re-installed on the car and after this photo the reflectors and insert were added. Obviously it still needs paint at this point, but Kyle is waiting on some more parts before getting everything painted at once. However, even in plain black plastic it flows pretty well with the standard side skirts (the only real difference is a lack of texture on the valance) and looks right at home for the time being. 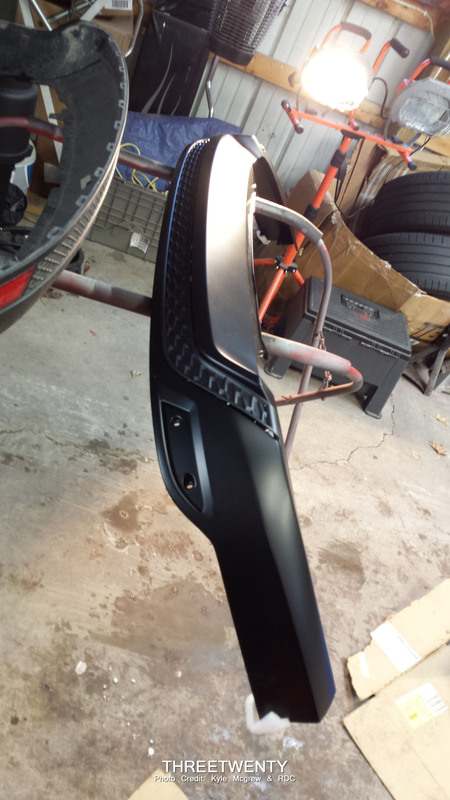 Once body colour though, it’ll look even better. Thanks again to Kyle and Mike for sharing their thoughts and photos from the install! Hopefully this helps anyone who may also have been contemplating updating to the new valance. Previous Post Previous post: The ST’s big, bad brother. Hello RS.